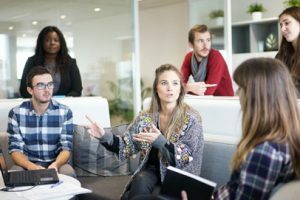 Let’s face it – if a restroom is not up to our standards of cleanliness it affects our perception of the company it belongs to. How many times have you walked into a public restroom, turned around and walked back out? 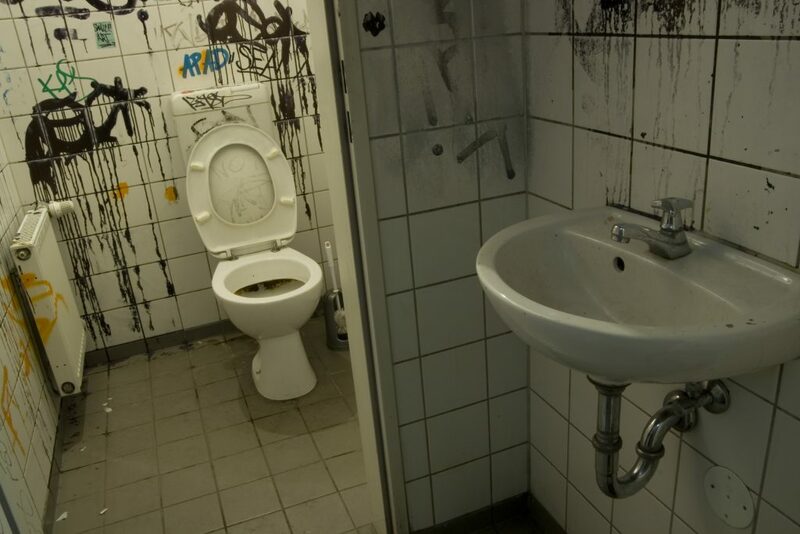 93% of respondents would consider a public restroom as dirty if it had dirty or sticky floors. 90% said that unflushed toilets would make them perceive a public restroom as dirty. 88% said the same of overflowing trash cans. You can see the full survey here. Over our 50 years in the business we’ve seen it all and have developed a checklist to help you maintain a consistently clean restroom. This checklist can be applied universally, no matter if you are in an office building, retail store, medical clinic or restaurant. Depending on how much traffic your restroom receives, you should complete these tasks a minimum of once daily. Check toilet paper dispenser(s). Restock if low. Check paper towel dispenser(s). Restock if low. Empty trash cans. Replace pail liner if needed. Check soap dispensers. Refill if low. Clean toilet(s) and urinal(s). Don’t forget to flush. Spot clean floors, including drying wet spots. 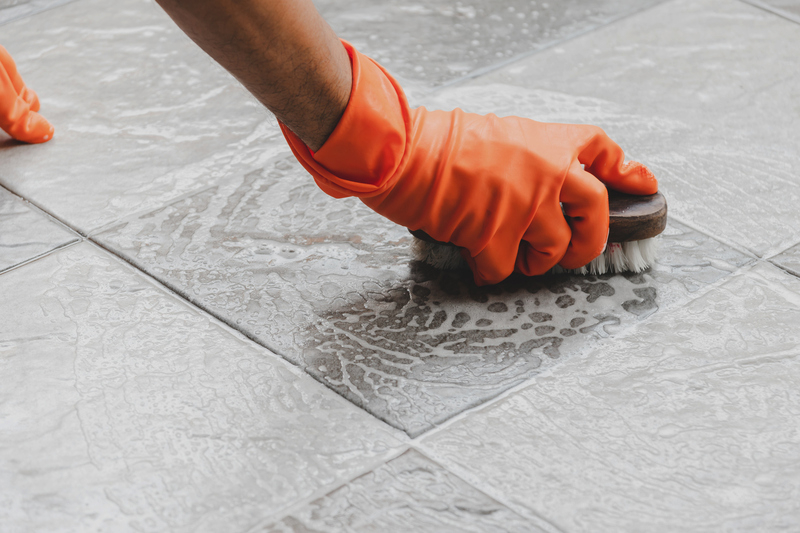 Whether you have in house cleaning crew, or you outsource cleaning, restrooms should be cleaned more thoroughly a minimum of once a week or more depending on traffic level. Wipe down all flat surfaces with a disinfectant cleaner. Sweep floor and dispose of debris. Clean toilet(s) and urinal(s). Don’t forget the exterior as well. Wipe and polish faucets and other brightwork. Clean water marks and other spots from walls. Mop floors. Don’t forget to put out your Wet Floor Sign. 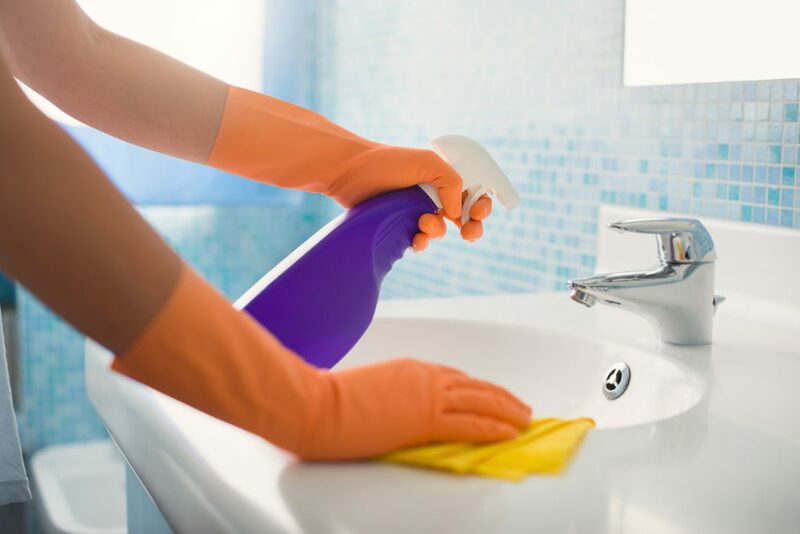 You may find that even with regular cleaning your restroom could benefit from a deeper cleaning. Again, depending on the traffic that your restroom encounters you may need to schedule this annually or more frequently (i.e. quarterly). 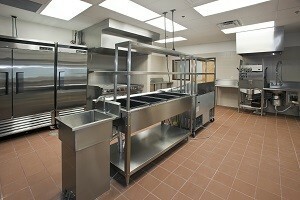 Unlike regular cleaning activities, deep cleaning program focus on hard to clean and often overlooked areas. Ensure all of your regular weekly cleaning duties have been completed (see above). Remove stains from toilet bowls. Thoroughly wash all walls. Don’t forget walls behind fixtures. Remove calcium build up on fixtures. Clean drains. Don’t forget often overlooked floor drains. 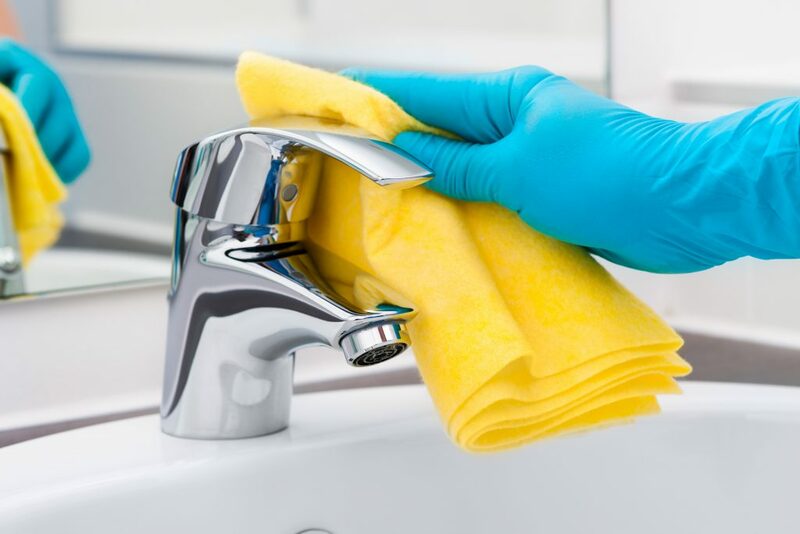 Staying on top of your regular maintenance and enhancing your cleaning program with deep cleaning services periodically will pay off. Not only will you be leaving visitors with a positive perception of your organization, you’ll be helping extend the life of your restroom. It’s a win-win for everyone.